A new book focusing on human rights, humanism and the importance of the person as a framework to guide health care professionals in their practice intentions and actions. 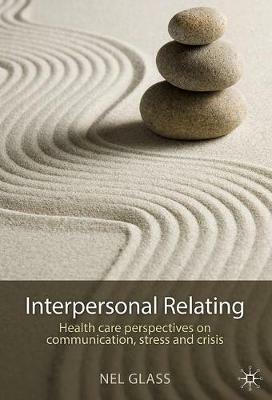 Written specifically for health care professionals, this book puts forward positive optimistic views and strategic processes for the management of intrapersonal and interpersonal communication, stress and crisis. Communication, stress and crisis are viewed from two focal points, those of practitioner/client engagements and points of emotional disruption. The reflective exercises and case studies interwoven throughout the book are grounded in 'real-life' contemporary practical situations of relevance for all health care professionals. The author advocates interpersonal communicative skills as necessary for personal and professional development of contemporary practitioners. This innovative approach supports practitioner satisfaction, wellbeing and self care.This book is written in a contemporary style focused on: the critical relationship between personal and professional development for the practitioner; improving the health care of the practitioner as well as the client; effective communication and the integral links to improvement in workplace satisfaction; recent national and international research on managing stress and crisis and improving communication personally and professionally.